Camping season is just around the corner and you want to make sure that you are getting to your dream destinations safely and without damaging your towing vehicle or the RV you’re hauling. These RV tips will show you just how easy it is to find the ideal towing vehicle for that 2019 Crossroads Cruiser fifth wheel for sale at Parris RV that you’ve been saving for all year. Shop more fifth wheels, toy haulers, and travel trailers for sale at Parris RV. Dry Weight – Actual weight of RV when it was built, not including passengers, cargo, dealer-installed options, or fluids. Gross Vehicle Weight Rating – Maximum weight allowable for the RV when loaded, including the dry weight and all cargo, equipment, and fluids. The tow vehicle and RV have separate GVWRs. Gross Combined Weight Rating – Maximum weight allowable of towing vehicle and the RV. Simply combine the Gross Vehicle Weight Ratings of the towing vehicle and the RV to find this number. Gross Vehicle Weight – The actual weight of the towing vehicle when fully loaded with passengers, cargo, hitch, etc. Gross Trailer Weight – The actual weight of the RV when loaded with passengers, cargo, fluids, etc. Tongue or Hitch Weight – The amount of force the hitch or tongue of the RV applies to the hitch of the towing vehicle. This should be approximately 20% of the RVs Gross Trailer Weight. Keep in mind: manufacturer’s listed weight is not always the same as the RV at your dealer because of additional add-ons. Work with your dealer directly to get the most accurate weight. To find your towing capacity add the GVWR (gross vehicle weight rating) to the tongue or hitch weight and compare that to the GCWR (gross combined weight rating). Or, you can simply take our questionnaire and find your towing capacity easily. Just be sure the GTW (gross trailer weight) does not exceed your vehicle’s towing capacity. 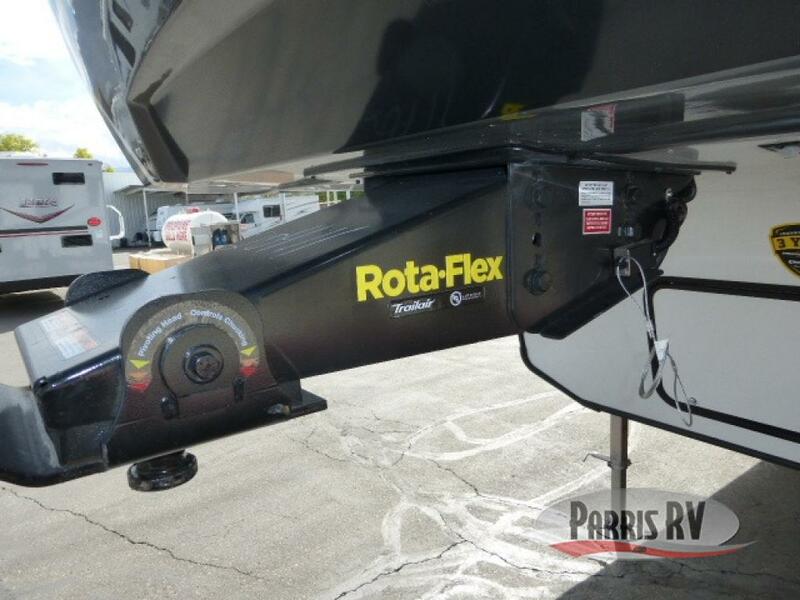 Now that you know more about the different weights to take into account when buying an RV, it’s time to decide on the fifth wheel, travel trailer, or toy hauler for you! 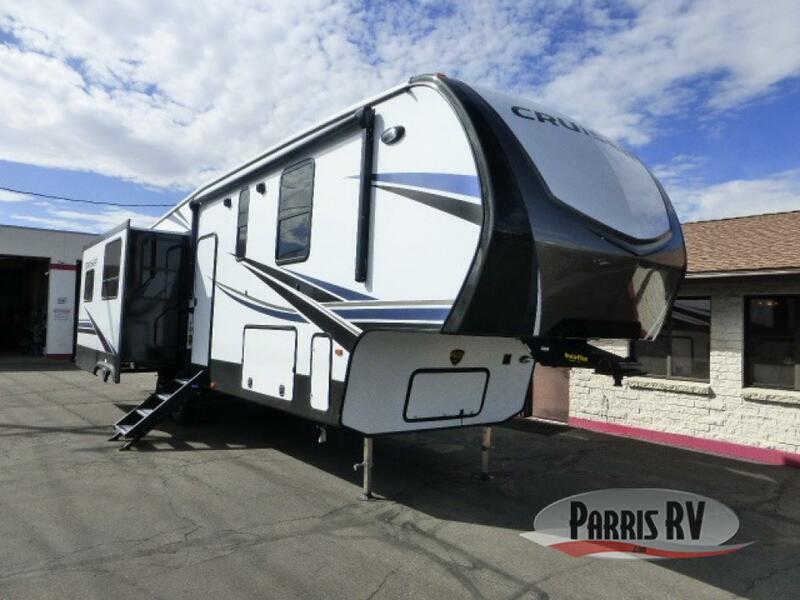 Contact the experts at Parris RV and we’ll help answer any additional questions you may have regarding towing, RVs for sale, and vehicles that make hauling your new RV a breeze. With the camping season upon us it’s time to make sure you’re getting to your destinations safely, so contact us today! We’ll answer all of your questions and help you drive home the ideal fifth wheel, toy hauler or travel trailer for your family.